Dr. Valenzuela, the Secretariat’s 18th Director, succeeds a list of distinguished educators and education professionals from Indonesia, Thailand, Malaysia, and the Philippines. She brings with her extensive experience in international education, having served as SEAMEO Secretariat’s Deputy Director for Programme and Development as the first female to get that post, from 2015 June to March 2019 and at SEAMEO INNOTECH as Head/Senior Specialist at the Educational Research and Innovation Office from 2006 to 2015. Between 1995 to 2006, Dr Valenzuela served the Philippine government through the Commission on Higher Education (CHED) as Director IV of the Office of Student Services and Director III of the International Affairs Services. She concurrently served as UNESCO Education Commissioner from 2004 to 2010. 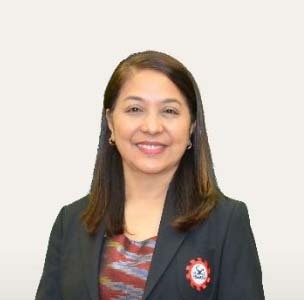 As a passionate educator, she also worked as Senior Professorial Lecturer in the College of Education at the University of the Philippines (UP) Diliman, a Senior Lecturer at the De La Salle University College of Education, and Department Chairperson at the Education Department at De La Salle Lipa from 1999 to 2014. On top of that, she has been a US-IVP Fellow since 2001 and a World Bank Fellow since 2009 and a research fellow and Doctor Fellow at the Royal Institution of Singapore. She has produced a number of research reports for SEAMEO member countries from early childhood to higher education and contributed to key UNESCO and UNICEF regional programmes. Dr. Valenzuela hopes to provide vast educational opportunities for all in Southeast Asia aided by the 11 member states in an excellent, proactive, and service-oriented manner in the age of Industrial Revolution 4.0, the digital economy, and the Artificial Intelligence Era. Dr Ethel Agnes Valenzuela holds a doctoral degree in educational management at De La Salle University and a Master’s degree in Arts with specialization in Science Education at the Philippine Normal University.